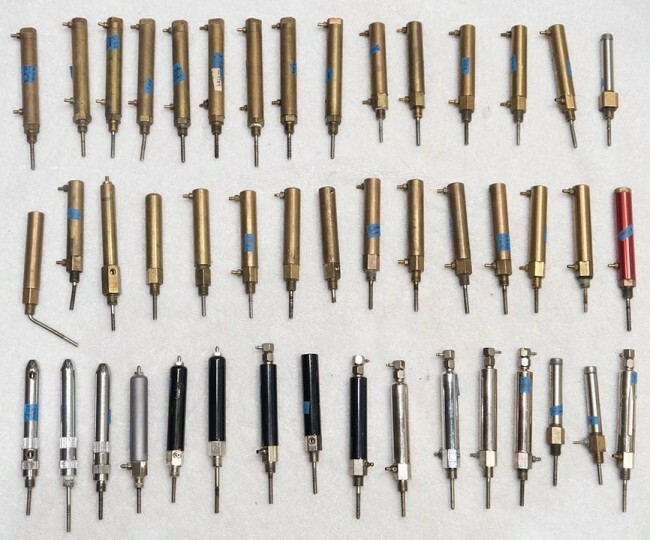 This month I added a load of close to 40 Autococker rams and over 40 Autococker low pressure regulators. 45 or so Autococker Rams for April 2015? Some work and some don’t. Many of the rams were stock brass pieces from the 90s and early 2000s but some were aluminum bodied. Of course they range from poor to great condition. 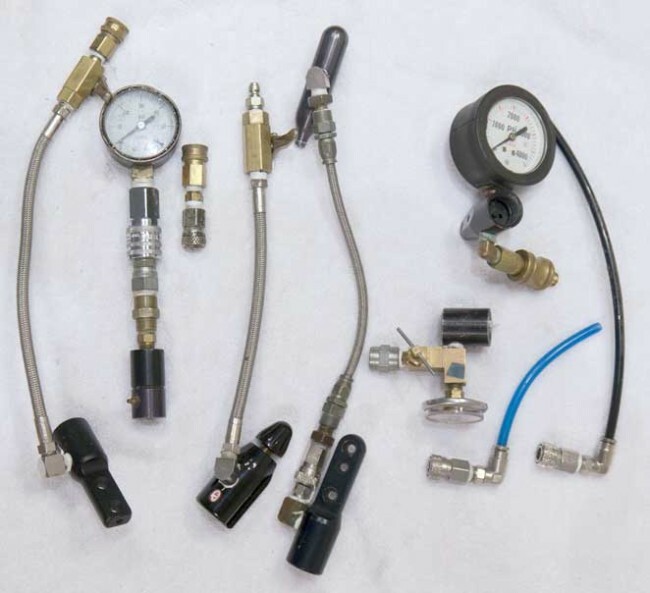 Some of the various pressure testing tools I used when testing LRPs and Autococker Rams. The last time I inventoried rams and LPRs was close to a year ago. I typically set up a pressure tester, test the lrps, and then use one of the working low pressure regulators that’s set to about 80 psi to run pressure into either side of the rams. But last month, Tim Firpo, at Paintball Tek dot com, visited and showed me a neat trick as we were recording videos about rams, lrps, switches and pneumatic fittings. Tim demonstrated that you can use your finger to plug one side of the Ram and pull or push on the ram shaft to test the suction. This quick test will give you a pretty good idea of whether the rams were functioning correctly. As I mentioned above, I test the rams and low pressure regulators before listing them, but I DO NOT re check them once they’ve sold. 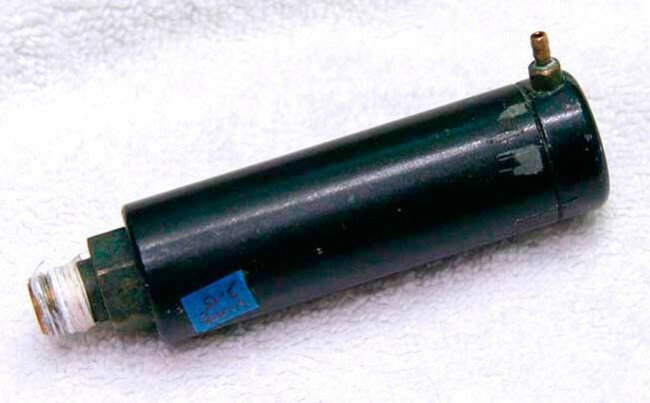 I include in the description when the rams and lprs were tested (at least for the more recent pneumatics I’ve listed) to give the buyer an indication of when they were last aired up or cycled. Top layer of Rams, mostly three piece brass rams with a few 2 piece bodies. Regardless of my testing, I’m still paranoid about the pneumatics not functioning correctly once they are purchased since they could be listed for another year or so before someone order them. So Tim’s “Firpo Test” is another good reference point to check the rams with once they are purchased and then I can cross check that with my description. I did find a few examples which failed the Firpo test and still functioned correctly but most tests lined up. In some of the tests that didn’t I can attribute the differences to not being able to adequately plug the lp holes. As for neat items from this batch of inventory, there were a few pieces that stood out. When it came to the rams, there are tons of old WGP brass rams, some good for parts and other good to throw on a cocker and get it cycling immediately. The middle layer of Brass WGP rams with a few bent items. Most of the rams were stock, with a good assortment of 3 piece brass bodied rams and 2 piece wgp rams. Bottom layer of mostly aluminum WGP rams. There were also a few aluminum rams, including WGP stock trilogy rams and after market stuff. 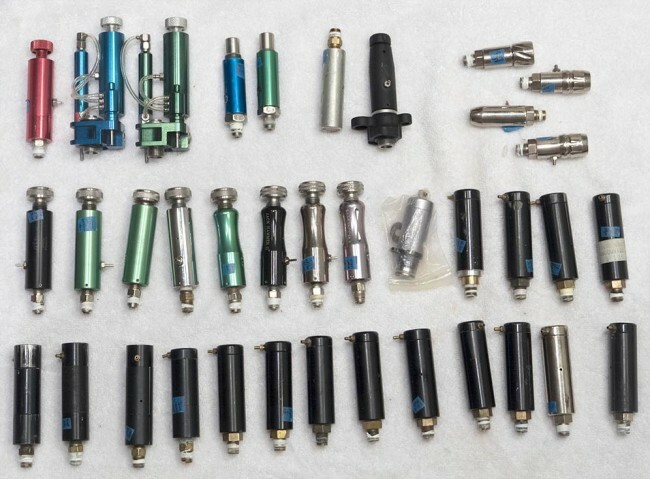 Autococker Low Pressure Regulators added to inventory as of April 2015. 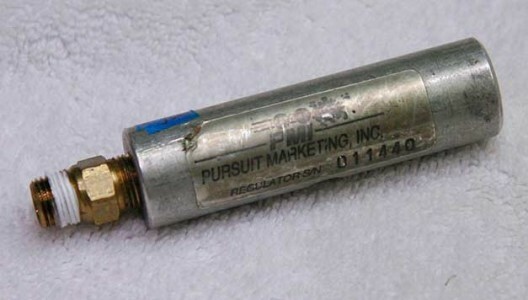 The Autococker low pressure regulators listed were about half stock and half aftermarket. The Sledgehammers were pretty typical with about half functioning correctly and the other half needing rebuilds. A later Stock WGP Sledgehammer reg. Sledgehammers can be rebuilt and the pressure can be adjusted prior to putting on the front block. Once they are on the front block though you can’t reach the adjustment and they have to be removed to tweak. Some ANS Jack Hammers that were added to inventory in April 2015. about half work. The after market stuff were about half ANS Jack Hammers, a few Kapp Rhinos, which use Schrader valves, and a few Shocktech FGP regs. A close up on the Shocktech FGPs and Kapp Rhinos. These were added to the site with this April 2015 upload. One of the FGP regs was listed by itself, the others were listed on the complete (but non functioning) front blocks. I received these two front blocks probably 5-6 years back and was saving them for my own projects. Bent ram shaft on a blue Shocktech Front Block. Unfortunately I neglected to remove the pump arms from the ram threads and over time, and between the dozen crates I’ve kept them in, the arms were damaged. Green Shocktech Frontblock with bomb, FGP, ram and block. So now these Shocktech 2k Front Blocks are being sold as is (they are also untested). They would be a good project for repair or just a good assortment of Shocktech parts if you don’t need a ram. PMI Chameleon Kit LPR added to inventory in April 2015. 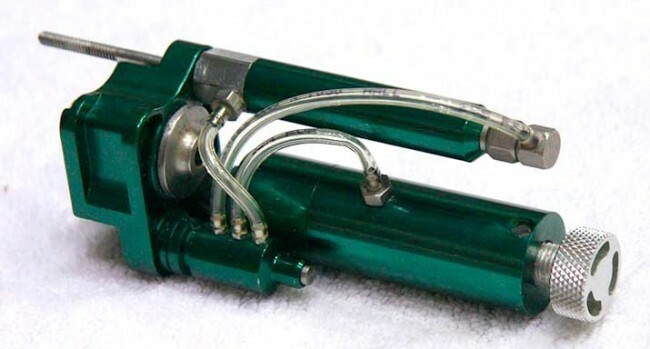 Another neat Autococker LRP that you don’t see every day is the PMI Chameleon kit lpr. Although not regarded as too spectacular (and often replaced with Rocks), this lpr doesn’t typically pop up except for on PMI Chameleon kits. Find more of the pneumatic videos that Tim and I recorded in the playlist above. Oh and although I have probably 20 rocks, non are listed because I plan on rebuilding them and listing them later.